The Manali based Ski Himalayas is organising four day long National level Alpine Premier league skiing championship, on the ski slopes of Solang valley, from 5th feb. to 9th feb 2012. Alpine Premier league will be a first of its kind championship in Himachal that with have active support of HP Tourism, Mountaineering Institute, and 6 snow sports clubs of Solang, Ruar, Kothi Palchan ,Vashisht and Kulang. Alpine Premier league will comprise competitive events in 14 disciplines of skiing with cash awards and other various kinds of incentives. The various teams from J&K, ITBP, Indian Army, Delhi, Shimla, Narkanda, Manali and other individual skiers of national and international repute have confirmed tehir participation in it. 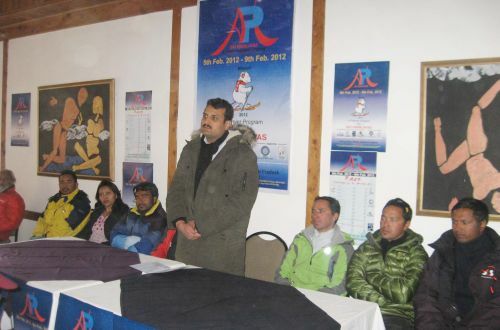 MD Ski Himalayas Amitabh Sharma discloses it in a press conference in Manali and added that Alpine Premier league would be an annual event that will benefit the ski fraternity and will help to promote tourism and winter snow sports during winters. 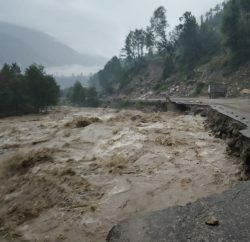 He said that Ski Himalayas are in constant touch with FIS and in the near future they are planning to host international championships as well. Sharma revealed that boarding and lodging facilities are being provided to the teams free of cost and also medical facilities would be readily available to face any kind of eventualities during the games. He said that mascot of the Alpine Premier league would be Balloo.